American network, NBC is hoping to revive the live-broadcast sitcom with Hospitality, a show that follows the antics of the staff at a midtown Manhattan hotel. Is this an interesting concept, or do you think it will flop? It sounds like an interesting show probably as I associate hotel antics with fawlty Towers. However, I do not understand where I love Lucy comes into it, even after reading the link. I am not particularly interested in re-runs of mediocre US shows and did not watch the Millers more than half an episode -that is one that is mentioned. Sounds like Big Brother/I'm a Celebrity if yo ask me. Doesn't interest me at all. 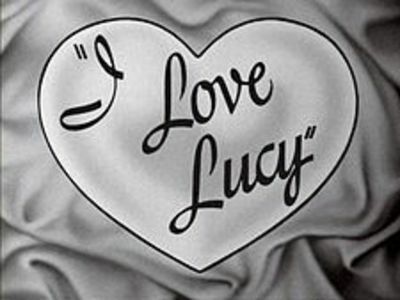 I also am a bit confused about what I Love Lucy has to do with it though. I'm not quite sure. I will really be watching to see how it goes. The older shows had a different type of humor than these newer ones. I really do find the older shows were better. The concept screams "another reality show with a proposed new angle". I'm extremely skeptical of anything being live. It is mandatory that all broadcasters (radio and television) have a minimum 7 second delay (the duration may vary from country to country) to counteract any unsuitable material being broadcast. Additionally, shows which are being recorded live in front of a studio audience and being promoted as a live show is very much an edited show. There have been some brilliant factual / docu-series the UK have produced namely The Family, One Born Every Minute and The Hotel. The format of this show sounds very similar to The Hotel which Dragonfly Productions produced for Channel 4, only with a comedic slant. I'd be interested to see the workings of this show format particularly as it's being touted as being a live sitcom. Comedy and sitcoms in particular are VERY HEAVILY scripted and EDITED to ensure the sitcom beats shine through. I would love to see any world wide format being successful (after all I work in the industry) but this does sound like a beat up that would involve a not so live element to this production.